Spring has sprung in Texas and warmer temperatures are on their way. Soon, you’ll be cranking up your air conditioning, if you haven’t already. 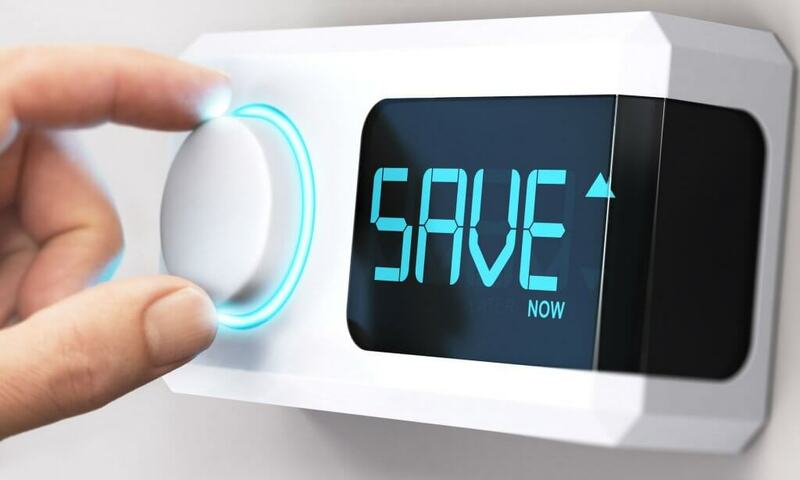 This is the perfect time for homeowners to take some simple steps that can save money on those costly summertime energy bills. A professional home energy audit can help you determine how much energy your home uses, where your home is losing energy, and which problem areas and fixes you should prioritize to make your home more efficient and comfortable in every season. Suggestions may include things like adding insulation where needed or replacing doors and windows with energy-efficient models. The Department of Energy has a wealth of information about professional home energy audits and how to select an auditor. A dirty air filter can cause your air conditioning system to work harder, resulting in higher energy costs. Changing the air filter on a regular basis is an important step in keeping your system functioning efficiently. While it’s tempting to make your home almost frigid in the dead of summer, you’ll waste a lot of energy and money by setting your thermostat too low. Try keeping it at 78 degrees during summer’s peak hours when you are home and raise it a few degrees when you are away. Extra bonus for those who can tolerate slightly higher temperatures: for every degree you set your thermostat over 78 in the summer months, you could save approximately six to eight percent off your home energy bill, per degree. A programmable thermostat can take the hassle out of adjusting the thermostat by allowing you to set your air conditioning to your preferred temperatures at different times of day and night. Shut out the heat, keep in the cool. Cover the windows with blinds or other window treatments that you can close against the sun and heat during the day. Use ceiling fans or portable fans to help circulate cool air in rooms. Cook with your microwave, slow cooker, instant pot or outdoor grill instead of the oven, which generates a lot of heat. Consider installing a dehumidifier to remove excess humidity indoors and keep you cooler. One of the best ways to ensure your system is functioning at peak efficiency, cooling-wise and money-wise, is to schedule a regular service. A commercial heating, cooling and ventilation system is no different than any other equipment: it requires attention to maintain peak running efficiency and performance levels. 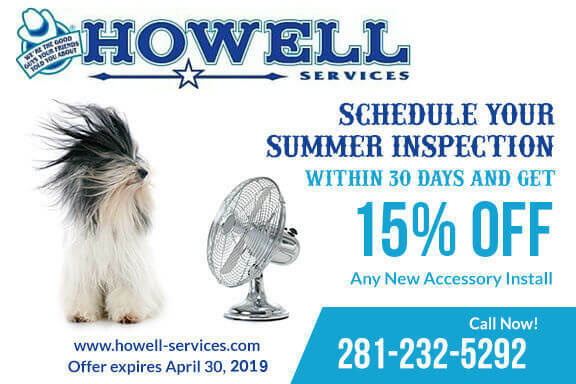 Howell Services’ HVAC technicians are experts in air conditioning maintenance and repair. We recommend a comprehensive precision tune up and professional cleaning twice year, which includes a thorough 23-point inspection of your system. Call us today to schedule your a/c tune-up, so you can keep your cool when hot weather hits.